Wrap yourself in the Softness of the luxurious 1000 thread count, 100% Egyptian cotton sheets like those found in World Class Hotels. Imported from the Land of Cleopatra, these fine luxury bed linens are carfted from long staple Giza cotton grown in the Lush Nile River Valley since the time of the Pharaohs. Comfort, quality and opulence set our luxury bedding in a class above the rest. 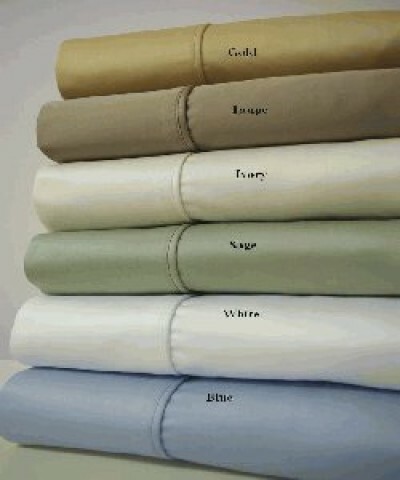 Elegent yet durable, their softness is enhanced with each washing. 1-Olympic Flat sheet 98" x 102"
1-Olympic Fitted Sheet 66" x 80"
2- Pillow cases - 20" x 30"